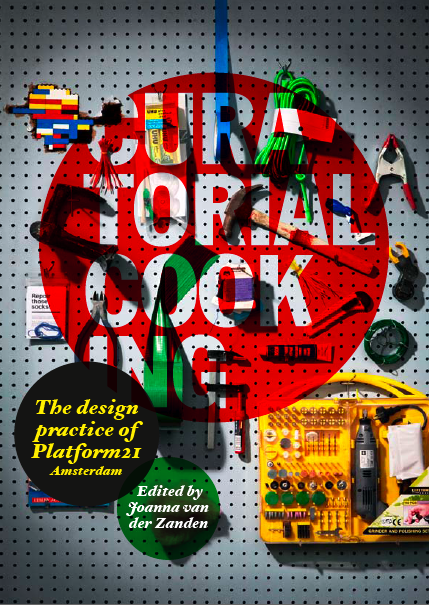 From 2006-2009 Platform21 functioned as an incubator for a new to be built design museum in Amsterdam. This unique period of learning by doing and exploring alternative exhibition formats, has delivered a more inclusive and democratic approach in showcasing design. Curatorial Cooking will share with you the best of Platform21 in an open D.I.Y. way. Giving exclusive insights in what works and what works not and encourages you to further develop projects like Platform21 = Repairing, Platform21 = Hacking IKEA or Me and My Character. The book also features a poetic image essay by artist Koen Hauser as well as inspirational project proposals by Aart van Bezooyen, Arne Hendriks, Cynthia Hathaway, Dewi Pinatih, Dinie Besems, Erik Wong, Guy Keulemans, Heleen Klopper, Hybridspacelab, Maite Abella Grau, Marco Bevolo, Nancy Nowacek, Nox Architects, Robert Stadler, Sang-kyu Kim, Scott Burnham, Sergio Davilla, Shane Waltener, Ted Noten, Van Bergen Kolpa Architecten end Yuri Suzuki. Paperback, 204 pages, 150 illustrations. Publishers: Artez Press, Premsela, Dutch Platform for Design and Fashion, and d'Jonge Hond Publishers. Japanese designer Yuri Suzuki and Masa Kimura weren't afraid to embark on the creative challenge of building a breakfast machine.